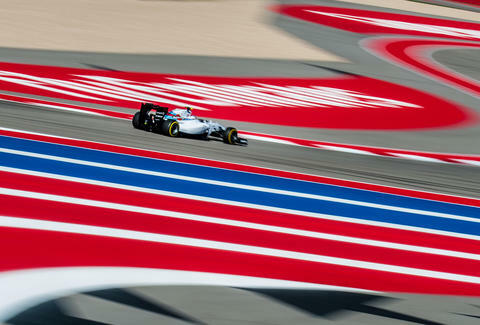 Less than five years old, the 20-turn, 3.4mi Circuit of the Americas track serves up some of the best lapping in the US. The place is legit: it’s currently the only racetrack where an annual F1 race is held in the U.S. The best way to get track time, if you’re not a turtleneck-wearing 17-year-old F1 racer from Europe: join a track day hosted by Edge Addicts Speed Event Management where, if you have the skills, you’re allowed to drive at speed and pass at will. It’s bold and complex! And we’re not talking about the area’s Cabernet Sauvignon. We’re talking Sonoma Raceway (once called Sears Point), a 12-turn, 2.53mi course with plenty of altitude change and a few blind corners to add hair to your chest. Both Indy and NASCAR run races here annually. 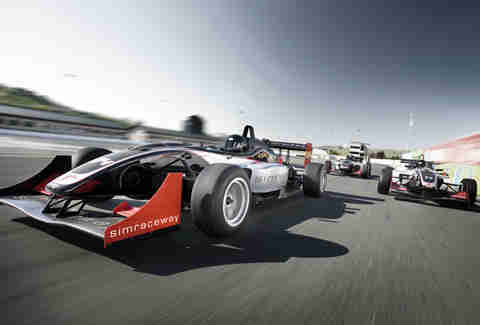 And you can too, by taking a class through the on-site Simraceway Performance Driving Center. If you just feel like flooring it and seeing what your car can do when pushed to the limit in a straight line, the drag strip is open to all (for a small fee) on Wednesday nights from March through November. Careful, Connecticut gents, your polo collars may ruffle! 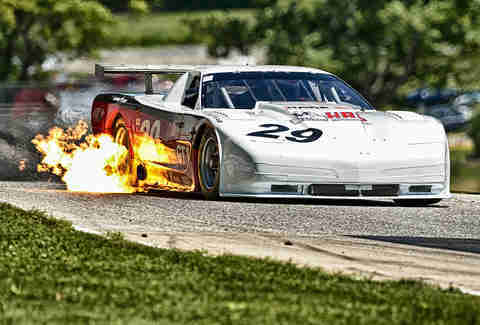 This church of internal combustion has been in session since 1957, making Lime Rock a true American classic. 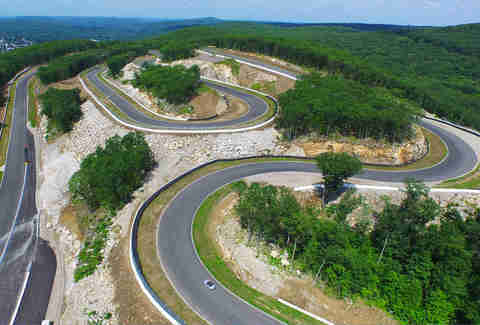 Hidden among the woods of Northwest Connecticut, the track has just seven turns in its short length (1.5mi). And though it’s easy to get around, getting truly fast here can be a riddle that takes years to solve. Start by becoming a “member for a day” through the Lime Rock Drivers Club ($1,450), which gets you four hours of professional instruction on the track. Do you have motor oil running through your veins? Lug nuts lost in your beard? A tramp stamp tattoo of Ricky Bobby? Prove your gear head-worthiness at this tough, old-school track, first opened in 1957 (it was closed from the mid-seventies through 2000). By the end of 17 turns and 3.27mi you (and everybody in the paddock) will know how good your stuff is. To book track time, your best bet is to either join the VIR Club (costs in the thousands) or find out what clubs are booking the track in the near future and attain access through them (priced from about $500 for a day). You’ve raced this 2.24mi, 11-turn track while playing Gran Turismo or Forza, but there’s nothing like driving Laguna Seca in real life. The track’s focal point is “the corkscrew,” a five-and-a-half story drop consisting of a left-to-right combo turn, which has the tendency to chew up and spit out overconfident drivers. 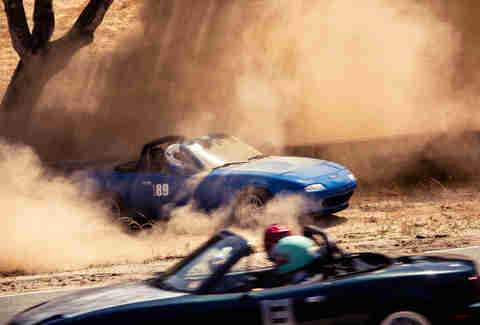 To test your mettle and get on the track yourself, join a car club that’s rented the track for a day -- look at the track calendar at Mazda Raceway to see who’s secured track days. The best thing about coming here is that it’s close to Big Sur, so you can convince your significant other to make the trek and “neglect” to tell them you’ll be spending a day at the track. Less than an hour from downtown Atlanta proper is this legendary 2.54mi, 12-turn course, a superfast test of your machine’s capabilities -- and your reflexes. Memorize its curves on a video game before heading out here with your precious metal. The best way to score some time here is to jump on a car club’s rental of the track -- check out the event page at Road Atlanta to get some ideas. “The Glen” dates back to 1948, but the 3.37mi, 11-turn track is still one of the most challenging American sports car circuits around (not to mention, one of the scenes of some of the most debauched sports partying of the 1970s -- start growing your mustache now, in homage.) 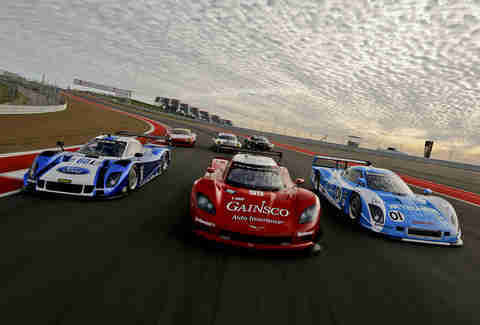 It’s also the site of some of the most epic vintage Formula 1 battles ever and still hosts NASCAR’s Sprint Cup Series. 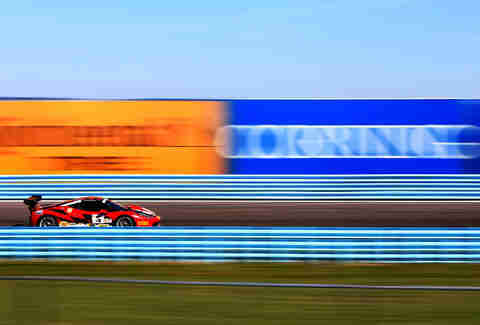 There are two ways to get on the track: you can either tag along with a sports car club renting out the facility, or you can choose to take part in the track’s “Drive the Glen” program, which allows you two laps of the track (behind a pace vehicle) for just $25. The track’s being repaved in early 2016, so check the website for updates. 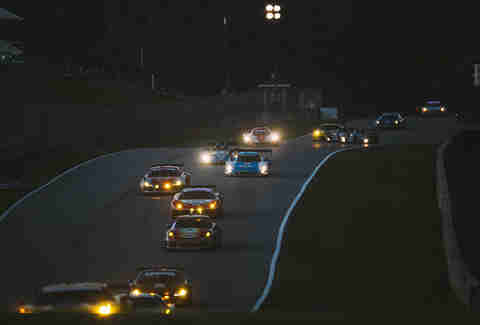 The term “mid-Ohio” might not bring much excitement to mind: rolling hills? Livestock? Butter-churning contests? Not so thrilling. (Well that last one, maybe.) But surprisingly, the region is home to one of the greatest, fastest tracks in the states, a 2.4mi, 15-turn circuit that hosts both the IndyCar and NASCAR Xfinity Series. 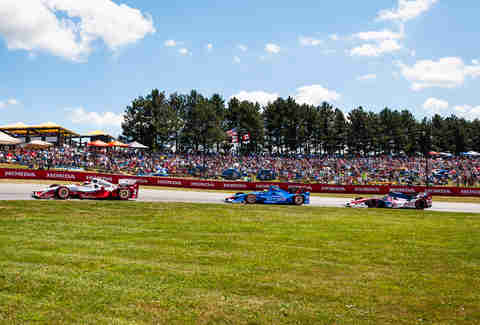 Unlike most tracks on our list, Mid-Ohio hosts its own courses, called the “Mid-Ohio School,” where there are a variety of levels of instruction, from open lapping to three-day race courses. Thanks a lot, Massholes! (No, seriously, thank you.) The newest track on our list (opened in May 2015) is a tight, 2.3mi circuit that snakes around Whisky Hill and the surrounding woods. There’s very little runoff, plenty of blind turns, and tons of up-and-down -- it’s no wonder that a lap around Palmer is often described as a roller coaster ride. The best way to get tarmac time? Check the racetrack’s website to see which car clubs are renting the track someday soon; you can join one just for the day to gain access. There is more to Wisconsin than cheese curds, tubed meats, and Packers football -- folks there take auto racing just as seriously. Paul Newman made that discovery when he got into racing while filming Winning at Road America here in the 1960s. 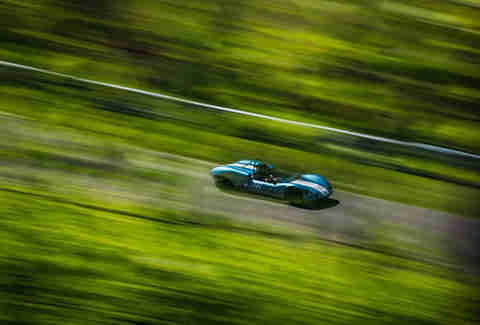 You too can catch the bug by joining a Skip Barber racing school class, or by joining one of the many private car clubs that rent out the circuit. It’s a long and fast course, with plenty of elevation change. Just watch out for turn 11, “the kink,” a notoriously easy spot to skid off the tarmac.